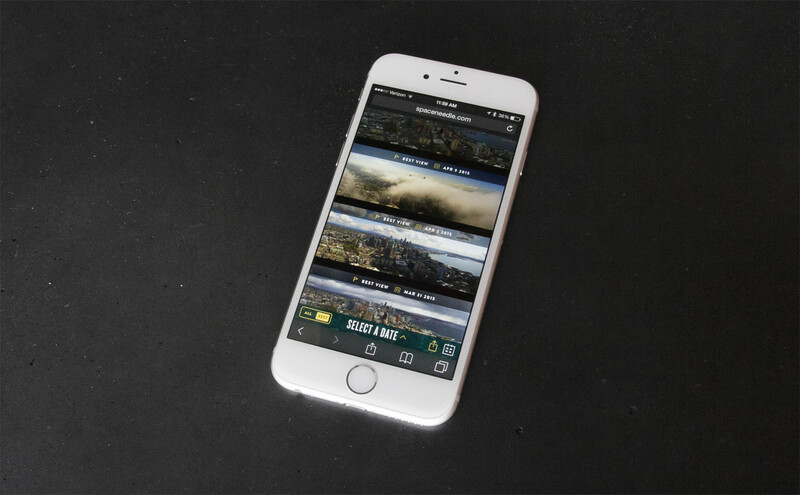 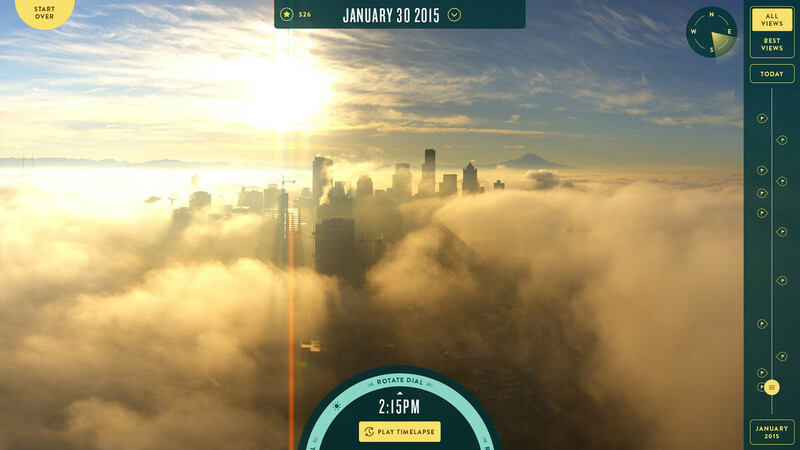 PanoCam is available on mobile and tablet devices as well. 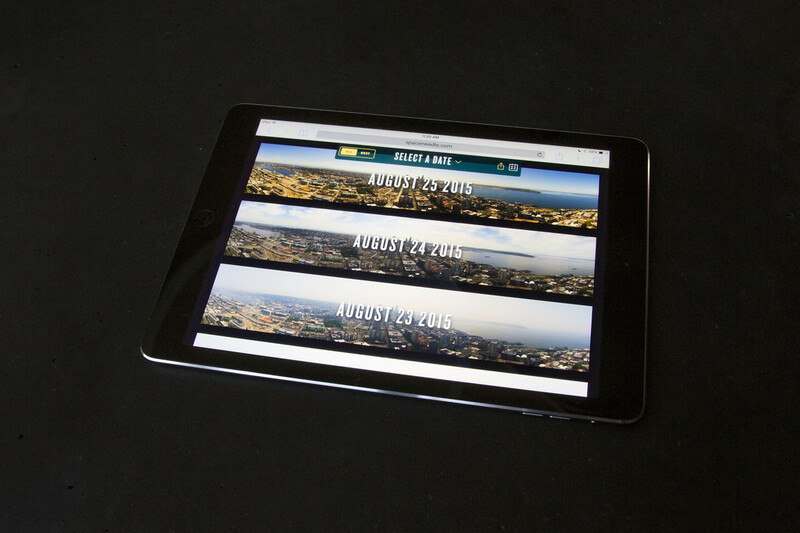 Drop down date selection on tablet. 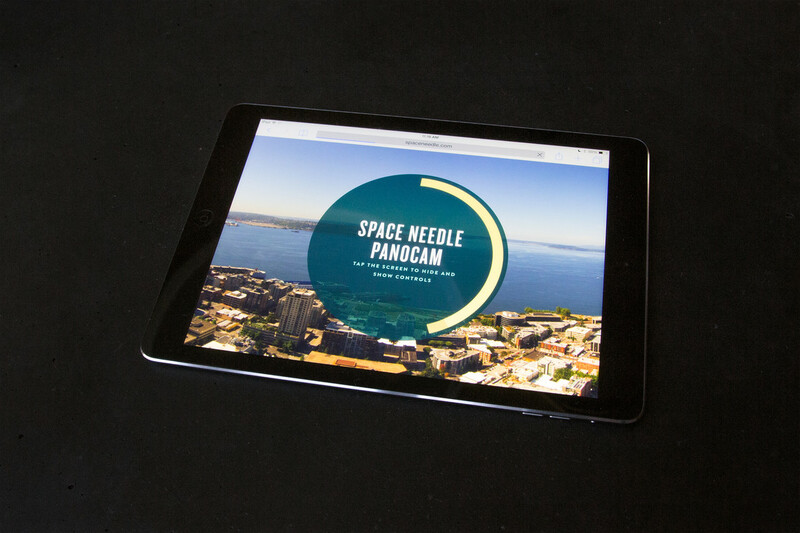 Belle & Wissell again joined forces with the Space Needle to present PanoCam, an interactive component of the Observation Deck experience that captures and catalogues the majestic views available from the top of the Needle. 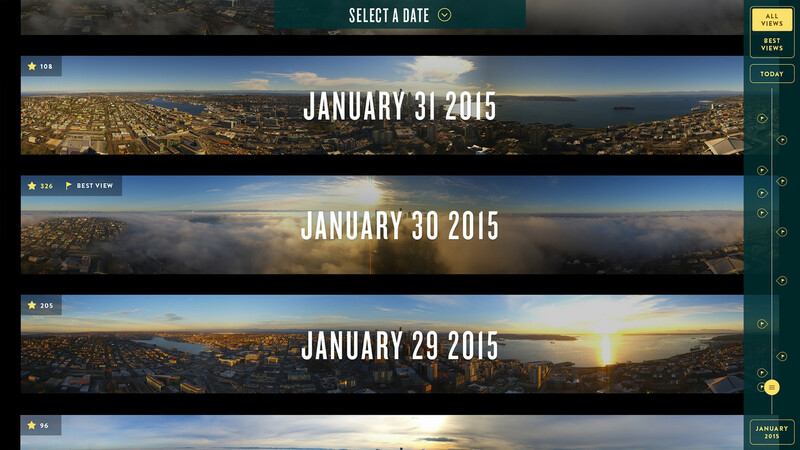 PanoCam offers stunning, remarkably detailed, all-day panoramic views of Seattle, documenting each image with its date and time of capture. 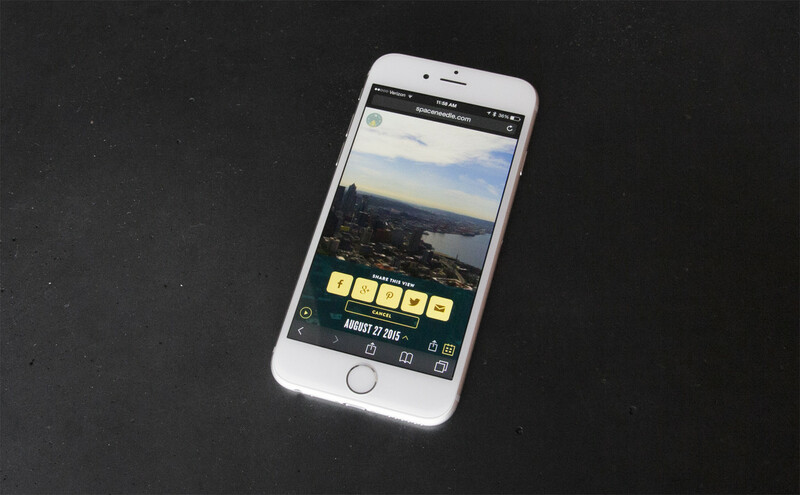 Visitors to PanoCam—either on the Observation Deck or online—can scroll through the images chronologically or sorted by “Best Views.” Users can favorite images from days they find particularly beautiful or meaningful, and share panoramas via social media or email. 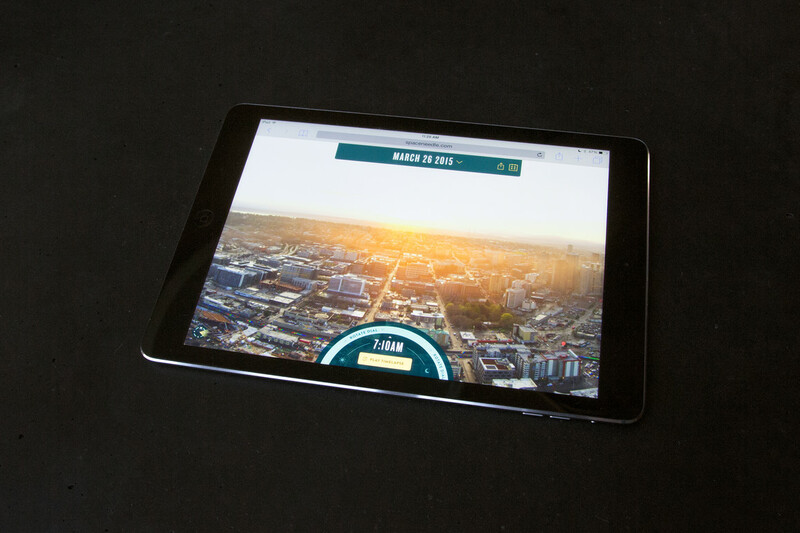 Belle & Wissell designed and programmed the in-person kiosk experience, and the online versions—accessible from both desktop and mobile devices. 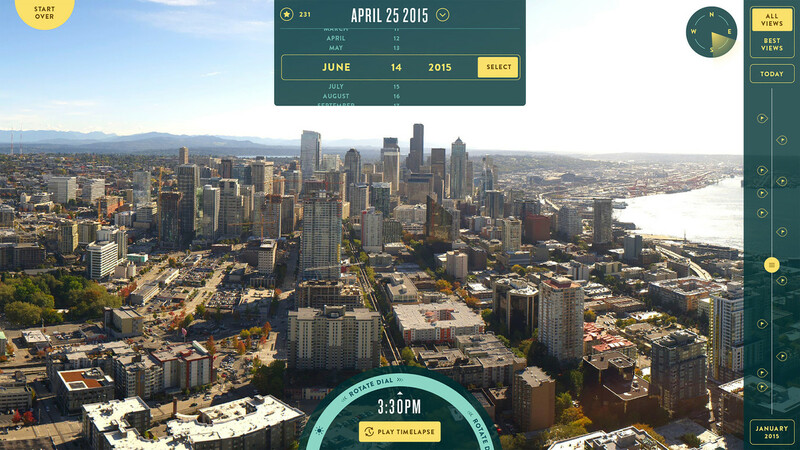 This newest addition to the Space Needle’s expanded visitor experience will serve an archival purpose as well. 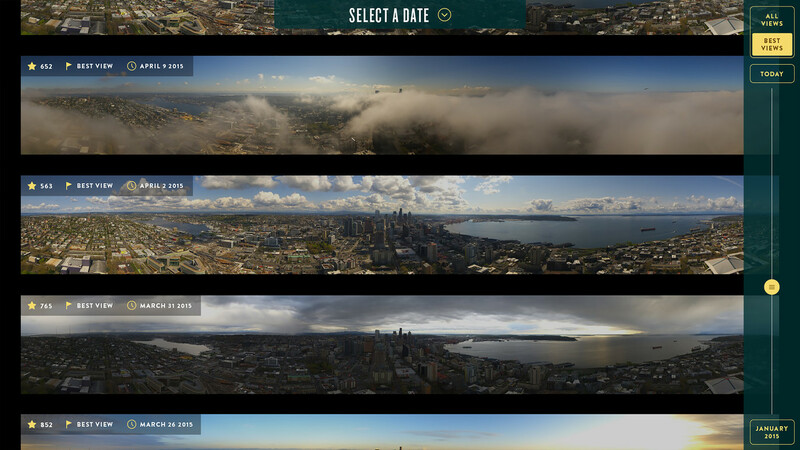 Images taken through PanoCam will be catalogued and made available to the public, offering long-range perspective on changes to the Seattle skyline.